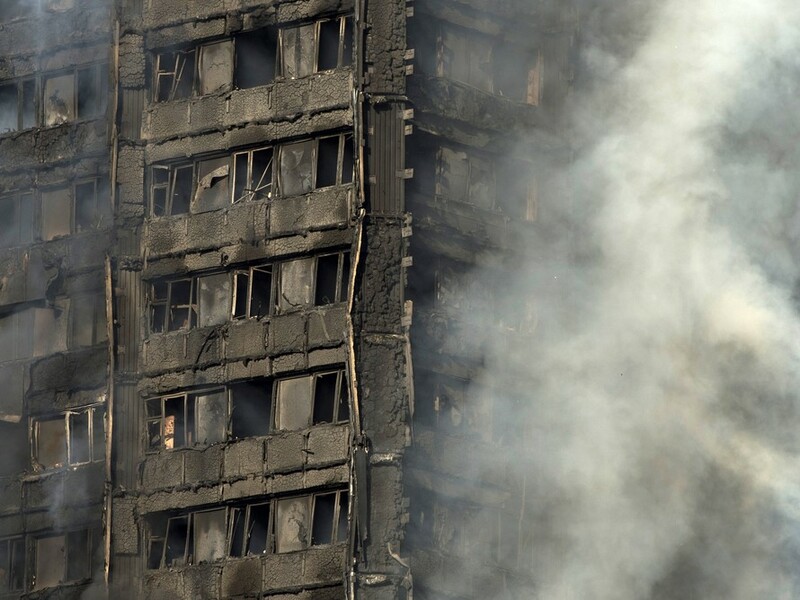 Despite the horror of the fire at Grenfell Tower, UK regulations for tall buildings are ahead of the curve in comparison with other countries. There have been huge improvements in construction materials and technological solutions throughout the modern era. And testing and certification methods have became even more rigorous, to ensure the quality of new products. Of course, many people are now asking what more could have been done to prevent the tragic loss of life in the Grenfell blaze. The truth is, while architects and engineers can work to mitigate the risk of fire, it cannot be completely eliminated. The addition of some materials to buildings, such as cladding, will obviously now come under scrutiny. But there are several improvements that can be made to old 20th-century tower blocks like Grenfell, to make them safer places to live. When it comes to managing the risk of fire, builders and architects are guided by three simple principles: prevent risk, evacuate users and minimise damage – in that order. But updating or “retrofitting” older buildings to meet modern safety standards isn’t always straightforward. That’s why architects, builders and other experts work alongside fire engineers to ensure evacuation systems are adequate for the building’s structure, function and users. There is no single formula. Each building is studied in detail by a design team, which works together to decide what approach is best. It’s important to consider how the building is being used; for instance, while offices are at risk because they contain large amounts of flammable stationary and electronic equipment, in residential units the biggest risks arise from cooking, heaters and other domestic equipment, which can start fires. Human factors such as forgetfulness, physical limitations and human error must also play a role in fire safety planning – especially when children or elderly people are frequent users. People are also more relaxed at home, which can lead them to lose awareness of some of the risks. People often leave pans on the hob or place heaters near curtains and other combustibles for example. A team must bear all these factors in mind, as they decide how to approach each project: smoke and heat detectors can prevent some accidents, placing sockets away from windows can also help. Some buildings rely heavily on evacuation routes to keep users safe when disaster strikes. This requires sound alarm systems, fire barriers in the form of fire doors and walls, and smoke extractors. These features are especially important in historic buildings, where escape routes are narrow or intricate, and have not been designed in accordance with current building regulation standards. Wherever possible, fire stairs should be partly sealed, to prevent smoke from entering, while automatic ventilation systems can be installed, which allow smoke to escape upwards like a chimney. Done right, this can provide a safe, smoke free escape route. But it is not always possible to achieve this standard in existing buildings, which is why users are sometimes advised to stay in their flats and steer clear of stairs and corridors where smoke can build up. Smoke inhalation is the most common cause of death in fires so residents are often advised to remain in a smoke-free zone and wait to be rescued. It appears this was the case at Grenfell Tower. Likewise, technical considerations can prevent the use of certain types of fire safety technology – for example, when there is no space to accommodate the installation. Installing sprinkler systems is not always feasible because they often require large tanks to store water, which are heavy and need space to allow access for maintenance. It’s hugely important for buildings to be designed to accommodate emergency responses, by making space for fire fighters to take control of and extinguish fires, if and when they occur. Some measures affect the internal layout, such as the installation of fire-fighting lifts. Others relate to the areas surrounding the building and the provision of services. For this reason, large structures must have a water source available, to reinforce the fire brigade’s own supply. Fire engines can only reach certain heights and cannot cover the upper floors. In new buildings, dry risers are installed, providing an empty vertical pipe which fire fighters can use to pump water up to the higher storeys. In order to function properly, these need to be regularly tested and maintained. They might not be not suitable for some retrofits, due to the lack of space. Pavements around buildings are often required to be a specific width and strength, to take the size and weight of local fire engines. All of these design measures help fire fighters keeping us safe but they are also highly reliant on maintenance. Residents of Grenfell Tower reported obstructions to emergency access routes, in one of a series of complaints about the safety and maintenance of the building. When planning for fires, the team will also try to find ways to minimise the damage to the structure. This is to avoid the risk of collapse, as well as preserve as much of the building as possible, in case it can be reused after the fire. To do this, the design team can use new building modelling software (BIM) to predict with reasonable accuracy how quickly a fire could spread through a building. All construction materials come with a set of technical data, which designers can input into the software in order to select the most suitable technology and materials for the building. If a material is highly combustible, then alarm systems become more relevant, while escape routes require better protection and ease of movement. When a building or refurbishment is completed, the designer hands over the key and a maintenance manual to the landlord. Maintenance manuals are very detailed, providing contact information, time schedules and guarantee documents for the upkeep of the building. But even with all these measures in place, there’s still a one major problem: materials are tested in isolation, which means that their technical data does not take into account how they will react when used in combination with other technologies – or when there are human errors in the design or assembling process. These issues are not picked up by BIM software. Fire can spread rapidly in the small gap between the external face of the building, and the internal walls. Thermal insulation is often placed inside this cavity, and sometimes it is part of the external cladding. Some aluminium panels are made with a rock wool insulation – these are fire resistant. But aluminium gets hot and expands very quickly, heating the insulation layer. If this layer is combustible, fire can spread at speed by travelling through the cavity – which acts as a chimney – producing vast amounts of toxic smoke. Fire barriers can be used to create compartments within the cavity, installed horizontally and vertically between the cladding and the internal wall at critical points to delay the spread of fire. But this product has to be installed with great skill for it to work efficiently, and it’s not always possible to use it for retrofits, depending on the type and condition of the existing walls. This explains why, despite all the design efforts, the risk of fire cannot be completely eliminated by design. What’s more, designers and managers can only predict human factors and behaviours to a certain degree. For this reason, communities and schools must work together with designers, fire brigades and building managers to help prevent fires. Meanwhile, building contractors and maintenance professionals must use these techniques to ensure that residents are properly protected from harm.